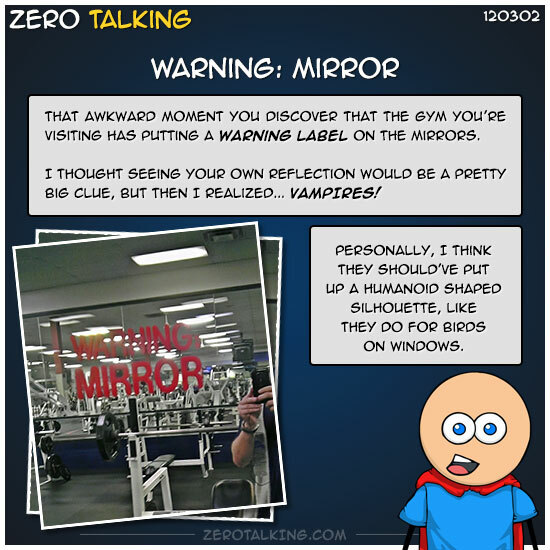 That awkward moment you discover that the gym you are visiting has putting a warning label on the mirrors. I thought seeing your own reflection would be a pretty big clue, but then I realized… VAMPIRES! Personally, I think they should’ve put up a humanoid shaped silhouette, like they do for birds on windows.